Getting on a ladder to string Christmas lights around the outside of my home isn’t exactly my thing. I’m afraid of heights. But that doesn’t mean that I pass on the twinkly lights that the season is so well known for. No, I bring the lights indoors and put them everywhere. 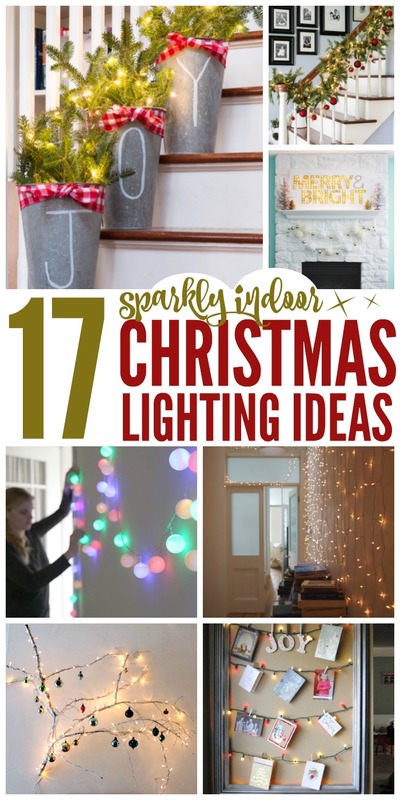 If you’d like to add a little sparkle to your interior, check out these bright indoor Christmas lighting ideas. See more Christmas hacks here! 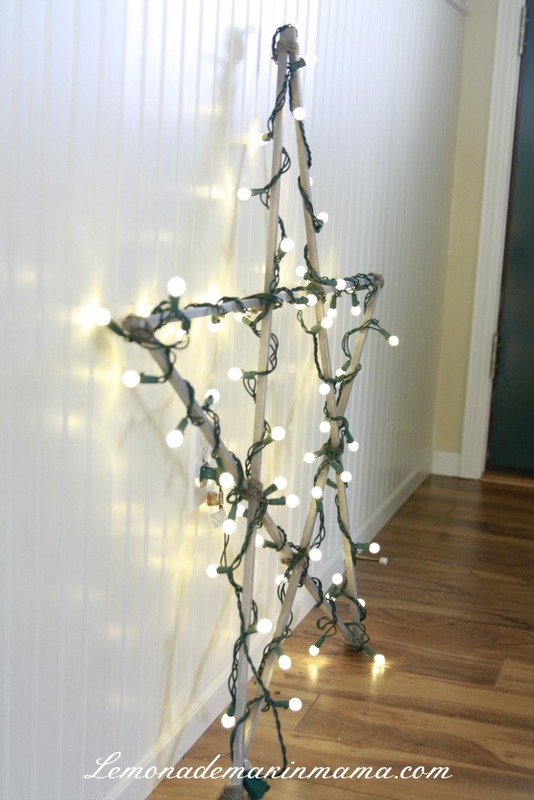 Put a string light Christmas tree up on the wall. This is an amazing way to save space in a small apartment or dorm room where a Christmas tree is impractical. Felt star ornaments spruce it up. I love displaying Christmas cards, but I have to admit that my snowman Christmas card holder isn’t the best way to do it. I can’t even see the card covers! 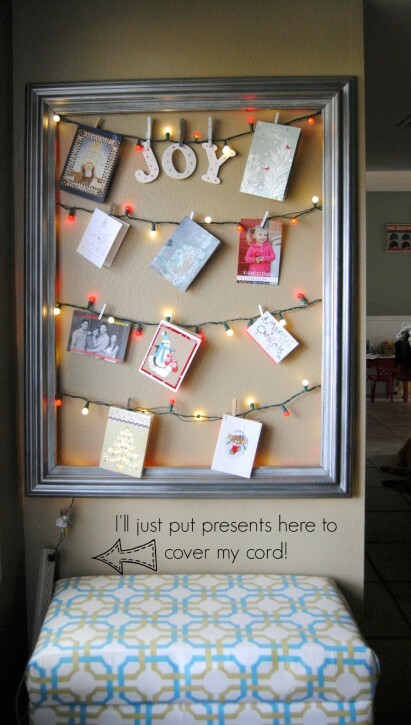 This lighted card display is simply genius. Not only do you get to see those beautiful Christmas scenes and family pictures, but the twinkling lights really get you in the holiday spirit. 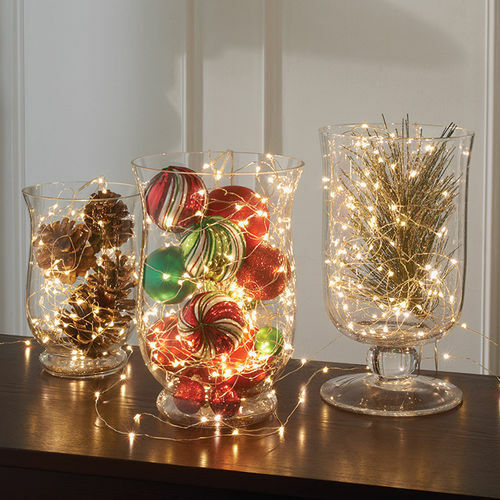 Fill containers (jars, vases, cloches) with ornaments, pine cones, greenery and lights to create a simple holiday display you can put anywhere in your house. 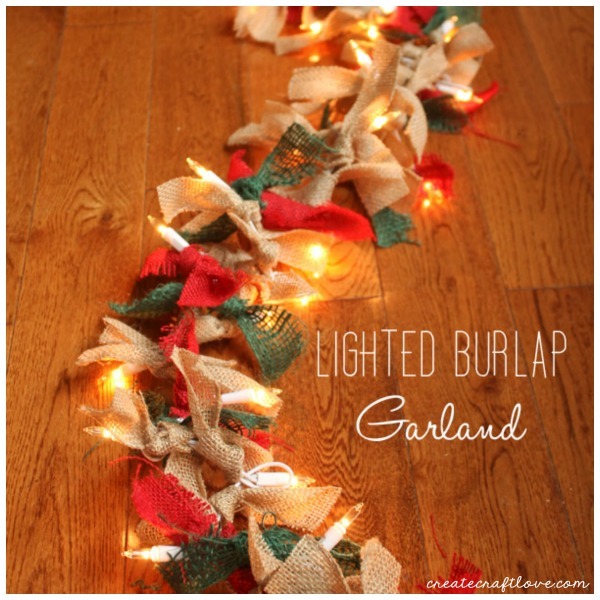 Decorate the mantle, tree or door frame with a lighted burlap garland. This is surprisingly easy and would make a wonderful gift. 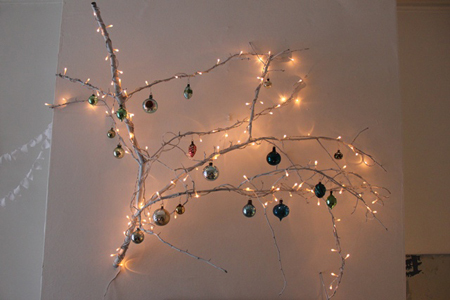 Paint some branches white, and wrap lights around them to make your own diy lighted branches on the cheap. 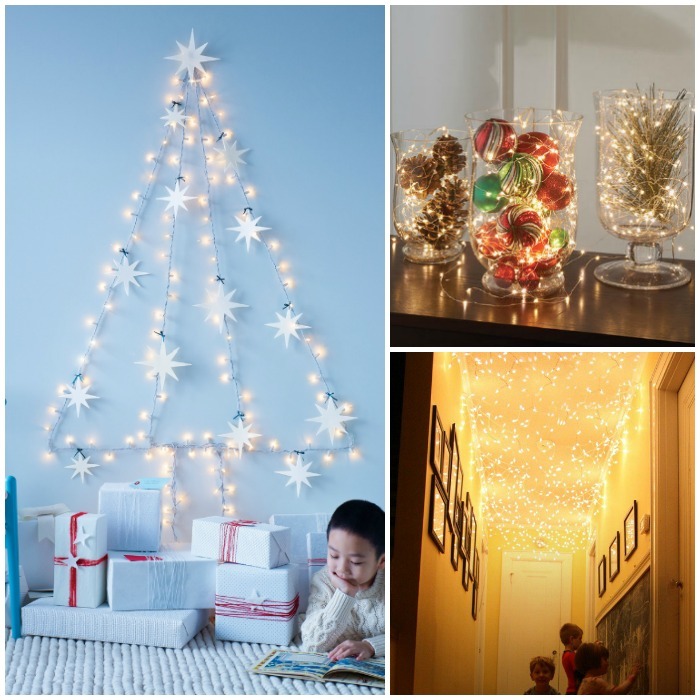 Use the lights with the white wires rather than the green ones to help them blend in better. 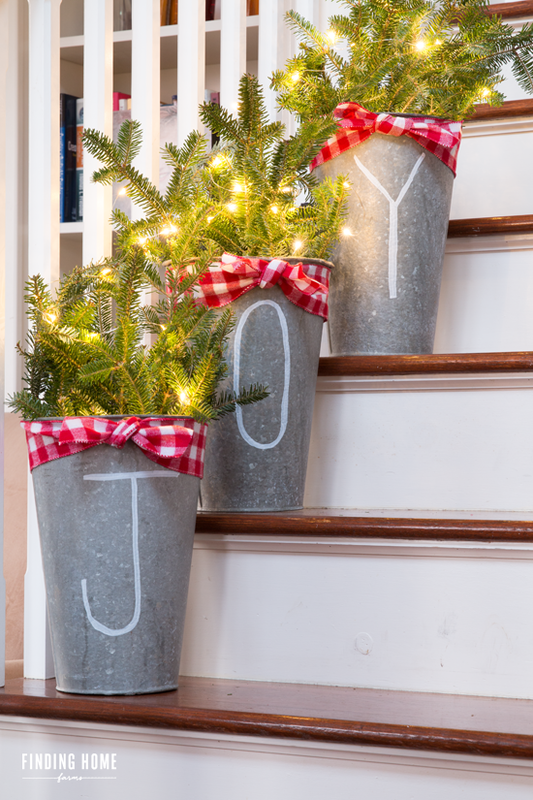 Galvanized buckets and greenery paired with twinkling lights creates a charming staircase display. 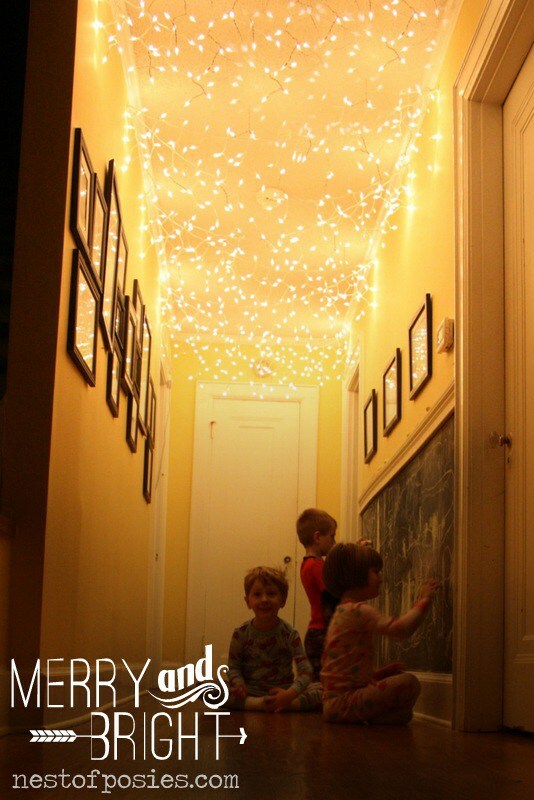 Add twinkle lights to your hallway or to your kids’ bedrooms during the holiday season. What a magical tradition to start this year! Build your own lighted star. 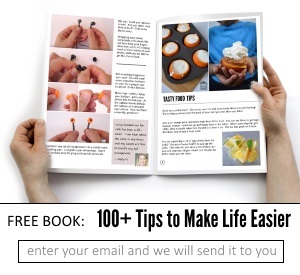 This is so easy that it’s a great project for the kids. Use paint sticks, rulers, yard sticks or trim to make the star, and simply wrap the lights through it. 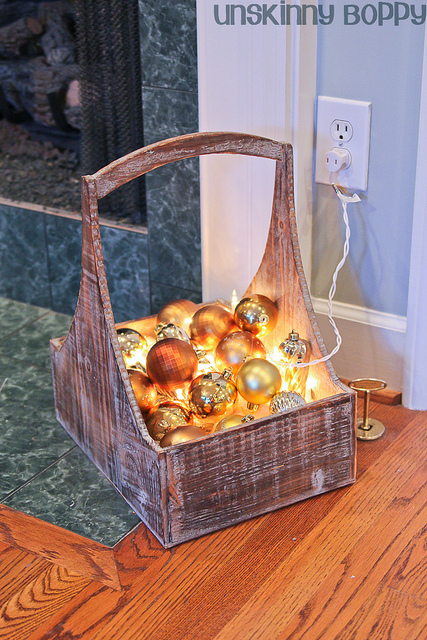 Add some lights and ornaments to a pretty basket for a twinkling display for the hearth. 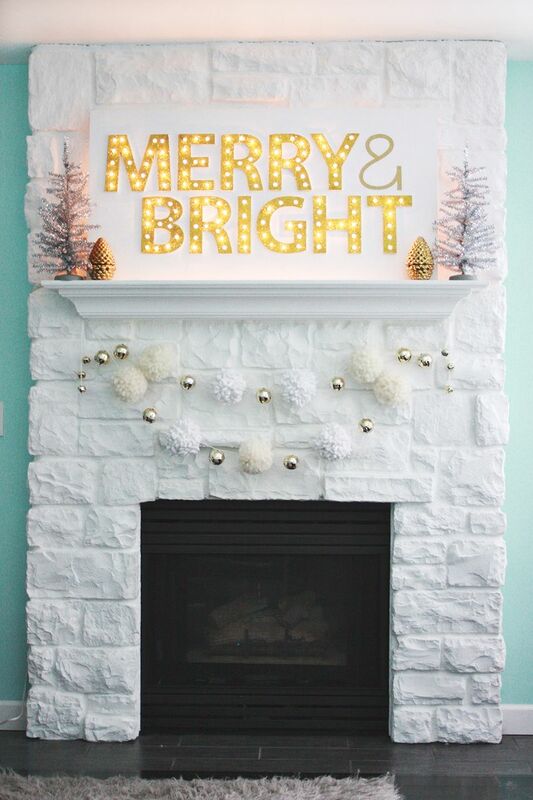 Make a merry and bright Christmas marquee for the mantle. I had no idea it was this easy… this is on my holiday diy list for sure! 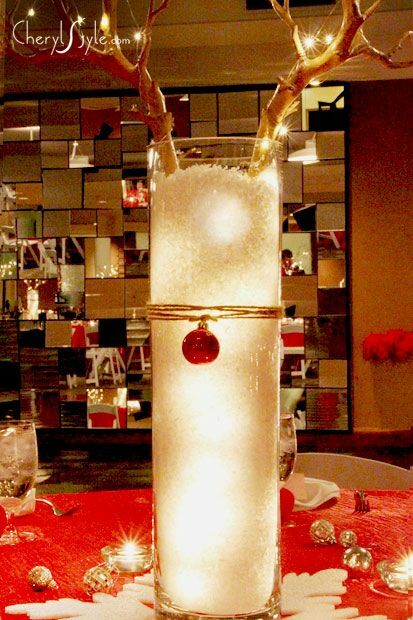 This lighted reindeer centerpiece is adorable and super easy to recreate with a glass vase, some fake snow, lights and the reindeer accessories. 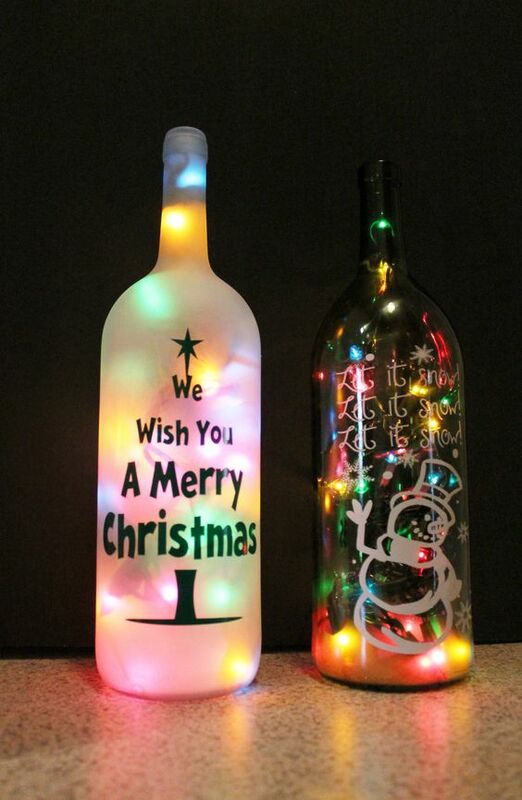 Use paint and stencils or vinyl to decorate wine bottles, and then add a string of mini lights to get that beautiful holiday glow. 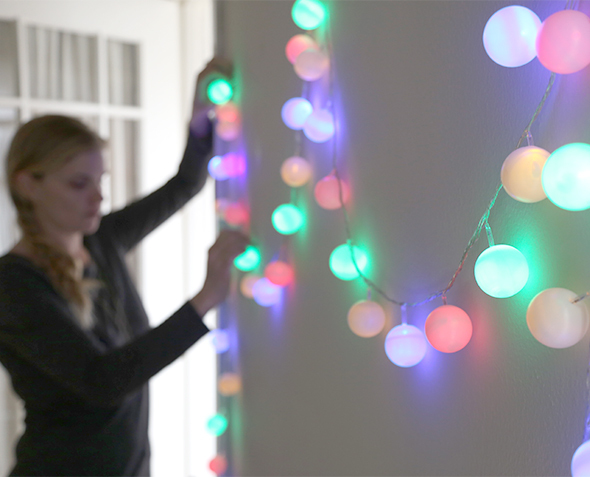 Create a soft glow using ping pong balls over multi-colored lights. This is another option I’d leave up year round… perfect for a kids’ room. Drill holes in a tin can, paint it, and add a string of lights underneath for a gorgeous lamp that creates pretty patterns of light on the ceiling and walls. 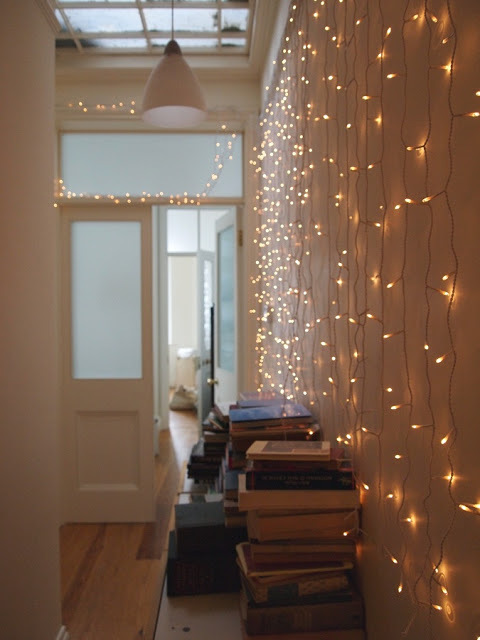 Dedicate a wall to lights. This would look amazing in the foyer or mudroom so it’s the first thing your guests see. Make firefly lights with tulle or lace. They look so romantic! You can leave these up all year long, or they’d make a great addition to a teen girl’s room. 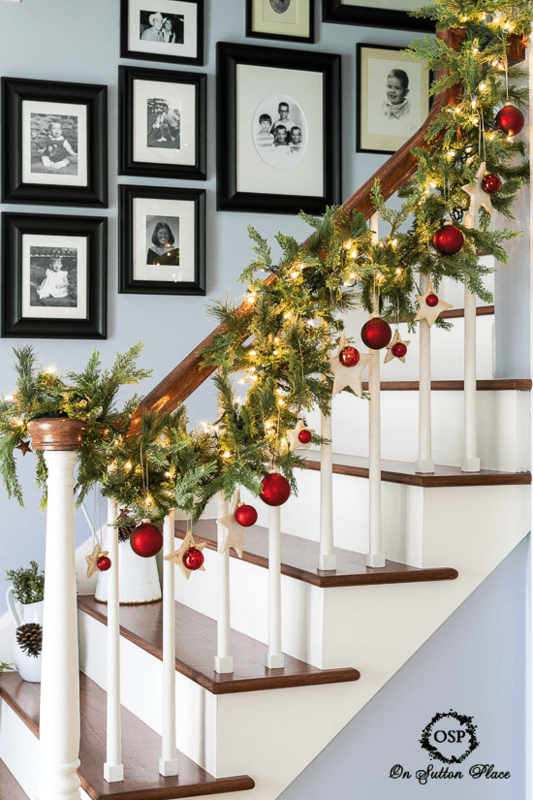 Pair a string of lights with evergreen garland and drape them down your stairs. Gorgeous!